The most beautiful smile in the world is one that’s healthy. With regular cleanings and preventive dentistry, we can help you enjoy a lifetime of healthy smiles. Dr. Ted Filandrianos and the rest of our talented dental team combine years of dental experience with first-rate dentistry to help you protect your smile. From simple checkups to periodontal care, we provide personalized treatment for exceptional dental care. Ready to get your teeth in shape? Schedule a visit to our office today! Whether it’s your first or fiftieth visit to our office, your regular cleaning and exam are essential to maintaining a healthy smile. 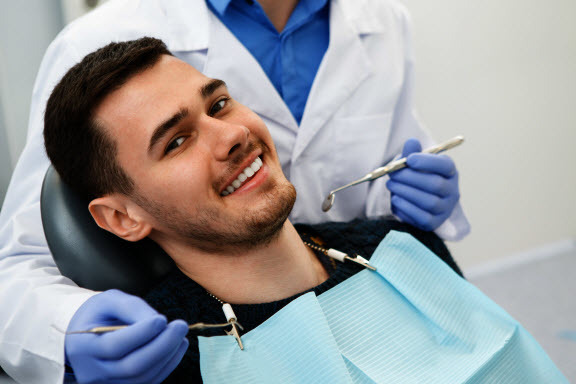 Regular exams allow us to view how your dental care is progressing and catch any health issues in the early stages when they can be easily treated. Professional cleanings also protect your teeth by removing hardened plaque and calculus that regular brushing and flossing can’t. How Often Should I Have a Cleaning and Exam? On average, we recommend cleanings and exams every six months. If a patient has chronic health issues or is recovering from an illness, we may recommend visits as frequent as three months. What Does Preventive Treatment Mean? As dentists, we believe the best treatment approach is ensuring that you can enjoy healthy, natural teeth as long as possible. Preventive treatment is any treatment that protects your smile from complex health issues like gum disease, dental infection, and more. We perform thorough exams regularly at our dental office. We’re passionate about getting to know our patients and providing personalized care, and the exam is a great way for us to get to understand you and your health better. Examine your teeth for decay, damage, and other problems. Check to see if your gums, tongue, and soft tissues are healthy. Take digital x-rays once a year (and more if needed). Check your head and neck for common oral diseases, such as TMJ or bruxism. Perform an oral cancer exam. Have prolonged sun exposure without sun protection. Have been exposed to HPV. Have poor oral hygiene, especially if paired with tobacco or alcohol. What Can I Do to Protect Against Oral Cancer? A healthy lifestyle is the best way to protect against cancer, including oral cancer. Avoiding tobacco use and limiting alcohol to occasional use goes a long way toward keeping your cells healthy. Good nutrition, with plenty of fruits and vegetables, will ensure your body is in good shape and has the nutrients it needs to prevent or combat cancer. If you’re regularly outdoors, be sure to always use sunscreen on your face and around the mouth. Some chapstick brands offer mild sun protection. Finally, make sure to keep up with your 6-month exams. This gives us a chance to monitor your health and makes it easier to spot any abnormalities. During a dental cleaning, we use specialized tools to clean bacteria, plaque, and tartar from your teeth. This includes cleaning beneath the gum line, where normal brushing and flossing can’t reach. After rinsing your mouth, we apply a fluoride treatment, which helps your tooth enamel to stay strong. We then finish by polishing the surface of every tooth. When the cleaning is done, your teeth and gums will feel fresher and healthier. Do Cleanings Make My Teeth Whiter? It can, but only to a certain degree. Dental cleanings can lift surface stains from the teeth, especially if you haven’t had a cleaning in a while. If you have deep set stains, or discoloration from a different source such as damage, a cosmetic treatment like teeth whitening or veneers may help. Standard dental cleanings are designed to freshen your mouth, not damage it. If you experience pain during your cleanings, it could be a sign of a health problem. Be sure to let our team know if you feel pain during a cleaning. Do I Really Need a Dental Cleaning Every 6 Months? Dental cleanings help to clean your mouth of the tartar known to cause cavities and gum disease. While this may build up at different rates between individuals, six-month cleanings ensure that this buildup doesn’t get out of hand. Gum disease is an inflammation of the gums that can progress to infection, gum loss, and tooth loss if left untreated. About half of all adults over thirty have some form of gum disease. Yes, gum disease is dangerous and must be taken seriously. In the early stage, called gingivitis, the symptoms of gum disease are minor. Inflammation, bleeding when brushing, and sensitivity to temperature are the most common symptoms. However, this stage can change suddenly and rapidly to the advanced stage, periodontitis. 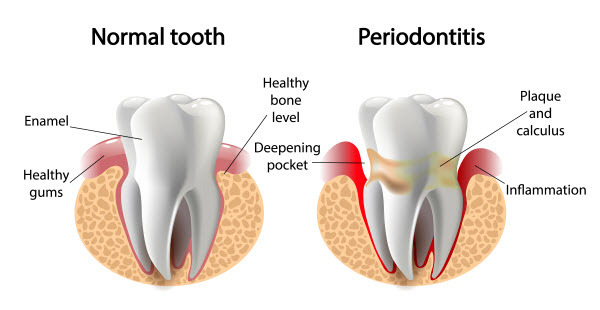 With periodontitis, the gums become infected and start pulling away from the teeth. Pockets form between the teeth and gums, which can be filled with bacteria and cause cavities at the root. Gum disease is the number one cause of tooth loss. Without the gums holding them in place, teeth become loose, and may even fall out or need to be extracted. Infections in the gums can also spread to other parts of the body, including the heart, and can cause life-threatening situations. The best treatment for gum disease depends on how severe the symptoms have become. In the earliest stage, regular cleanings and good at-home care may be enough to reverse the inflammation. If an infection has occurred and pockets have begun forming, the dentist will likely recommend a deep cleaning. During this procedure, the pockets will be irrigated to flush out any bacteria. The dentist then smooths out the root surface to make it easier for the gums to heal back into place. If the gums have receded, they unfortunately won’t grow back. However, it may be possible to restore the gumline with a gum graft. In severe cases, a tooth may be too lose or weakened and may need an extraction. If this happens, there are several restoration options to help replace the lost tooth. At our dental office, we know that healthy teeth come from a partnership between dentist and patient. One of our goals is to help patients better understand their dental health and to provide the tools and education to help them make good oral decisions at home. If you have any questions about your teeth, gums, or oral health, our friendly staff will be happy to help! Contact our office, and we’ll do all we can to work with you and help you protect your dental health. Cavities are the result of bacteria living in the mouth. They feed on the food we eat and produce a sticky, acidic substance called plaque. If not removed, plaque hardens into tartar and begins to eat away at tooth enamel. The pockets of decay become cavities, and if left untreated, could reach to the tooth center, allowing bacteria to infect the inner tooth. How Do I Prevent a Cavity? Although many factors can lead to a cavity, there’s a lot you can do at home to reduce your chances of getting one. If you’re especially prone to cavities, ask the dentist if sealants may be a good idea. While mainly used for children, adults can sometimes benefit from this treatment as well. What else should I do at home to protect my teeth? Do you recommend any dental products? Are there any health concerns with my smile? Are there any symptoms I should let the dentist know about? Do you have any tips for starting good dental habits? 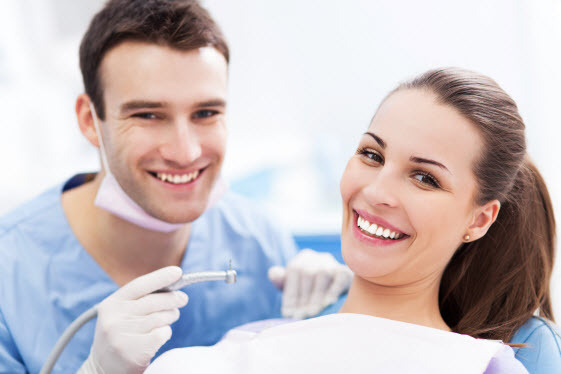 At our dental practice, your oral health is as important to us as it is to you. Dr. Filandrianos and the rest of our talented team are passionate about helping you enjoy years of healthy smiles. Let’s build a dental health plan we can work toward together. Schedule a visit to our office today!